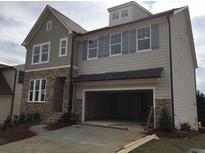 Below you can view all the homes for sale in the Riverside subdivision located in Woodstock Georgia. 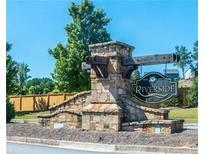 Listings in Riverside are updated daily from data we receive from the Atlanta multiple listing service. To learn more about any of these homes or to receive custom notifications when a new property is listed for sale in Riverside, give us a call at 404-998-4112. All Electric, So No High Gas Bill. MLS#6534317. Kurt And Sheila Team, Llc..
Up To $10,000 In Cc With A Preferred Lender (Restrictions Apply)!!! ! MLS#6534331. Ashton Woods Realty, Llc. The Price Has Just Been Reduced To $419,900 MLS#6515348. Ashton Woods Realty, Llc. Up To $10,000 In Cc With A Preferred Lender (Restrictions Apply)! ! MLS#6515286. Ashton Woods Realty, Llc. Large Walk In Closets . Flat Lot With Open View. MLS#6512944. Ashton Woods Realty, Llc. Up To $10,000 In Cc With A Preferred Lender (Restrictions Apply)!!! ! MLS#6512846. Ashton Woods Realty, Llc. Up To $10,000 In Cc With A Preferred Lender (Restrictions Apply)!!! ! MLS#6502670. Ashton Woods Realty, Llc. Dont Forget The Outlets For Additional Upscale Shopping . MLS#6107597. Ashton Woods Realty, Llc. Close To I-75 And Popular Downtown Woodstock. MLS#6093627. Re/Max Town And Country.